Show your date a good time by showing off what Illinois has to offer. Whether you're in Chicago, the suburbs or in more rural areas of the Land of Lincoln, you will never lack for exciting date options. So get dressed up, or down, and grab your date to explore all that Illinois has to offer. 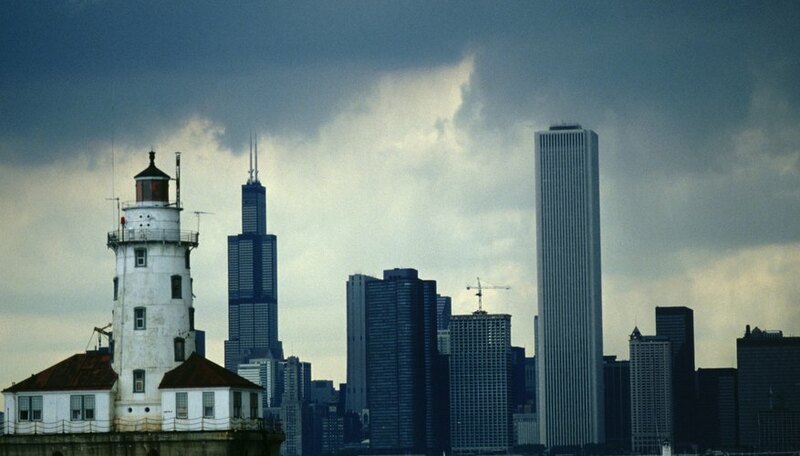 Chicago lies on the shore of Lake Michigan, which has numerous beaches suitable for a date. When looking for an exciting place to take your date in Illinois, you'll never run out of exciting options in Chicago. Whether you already live in the Windy City, or you're visiting, consider spending a weekend downtown with your loved one. Choose from the many hotels along Michigan Avenue or State Street, and soak up what downtown has to offer: Grant and Millennium parks, the Magnificent Mile, Navy Pier and the Chicago River. Visit the John Hancock building for spectacular views of the city and an elegant meal. If you're interested in exploring city neighborhoods, consider finding bed and breakfasts to stay at and get to know the eclectic areas such as Wicker Park, Bucktown and Ukrainian Village, or more upscale and trendy areas like Lincoln Park or Lake View. Don't want to trek all the way into the city? The Chicago suburbs have plenty of opportunities to find an exciting place to take your date. If you're in the Northwest Suburbs, you can visit Schaumburg and go to one of the many restaurants that line Golf and Higgins roads, or you can go a little farther east or west and take in a show at the Allstate Arena or Medieval Times. If you're in the South or Southwest Suburbs, you can explore one of the many Cook County forest preserves, and take your date on an afternoon hike or a picnic along one of the preserves' lakes. Central Illinois has plenty to offer couples looking for dating ideas. If you're interested in exploring wildlife, take your date for a hike in either Matthiessen or Starved Rock state parks. If you like to spend time on the water, rent or take your own boat on a cruise down the Illinois or Fox Rivers. Central Illinois is part of what makes Illinois known as the Prairie State, with its wide open lands and small towns. Princeton, the seat of Bureau County, has only about 7,500 residents, but its known for its impressive antique malls and its year-round theater festival, Festival 56. Northwestern Illinois is a hotspot for people looking for a nice weekend away from their busy daily lives. Near both Wisconsin and Iowa, Galena is a resort town amid western Illinois' rolling hills and near the Mississippi River. You can take in a wine tasting at one of the area wineries, or you can go on a kayaking excursion along the Galena River. If you prefer to just spend time with your date and relax your day away, find a spa at which you and your partner can get a massage. If you enjoy river activities, consider driving a few minutes west to the Mississippi and take a boat out along the river. There are casinos along this stretch of the river, as well, which would provide a night full of entertainment for you and your date. Swanson, Jaime. "Dating Ideas in Illinois." Dating Tips - Match.com, https://datingtips.match.com/dating-ideas-illinois-7977030.html. Accessed 22 April 2019.